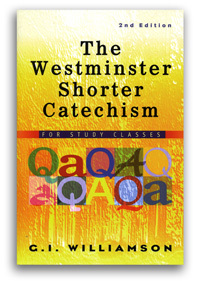 For a deeper study of the Westminster Catechism, this book is appropriate for parents and for the young men and women in your family. With Scripture, word pictures, and simple illustrations, Mr. Williamson guides us to a greater understanding of the faith. Each lesson concludes with excellent review questions to stimulate discussion and understanding.We have used this book as a high-school level study in Christian doctrine. I have used this book as a Bible class for my two sons, who are in ninth and eleventh grade. 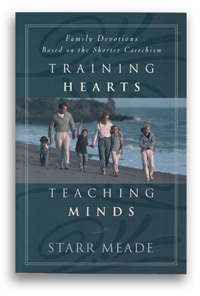 We take turns leading the morning devotions using lessons from this book. It has been insightful in helping my sons verbally express what they believe.